People want to buy their groceries, as well as other daily needs, in a clean and organized environment. Longer opening hours and changing weather conditions can create challenges for supermarkets and stores of all sizes. Small corner stores with their tight spaces and large hypermarkets both need equipment suitable for their specific needs, as well as an efficient team of cleaners. Keradur cleaning teams are committed to their designated locations. Together with the store owners, they plan the actions necessary to maintain the highest standard of hygiene every day. 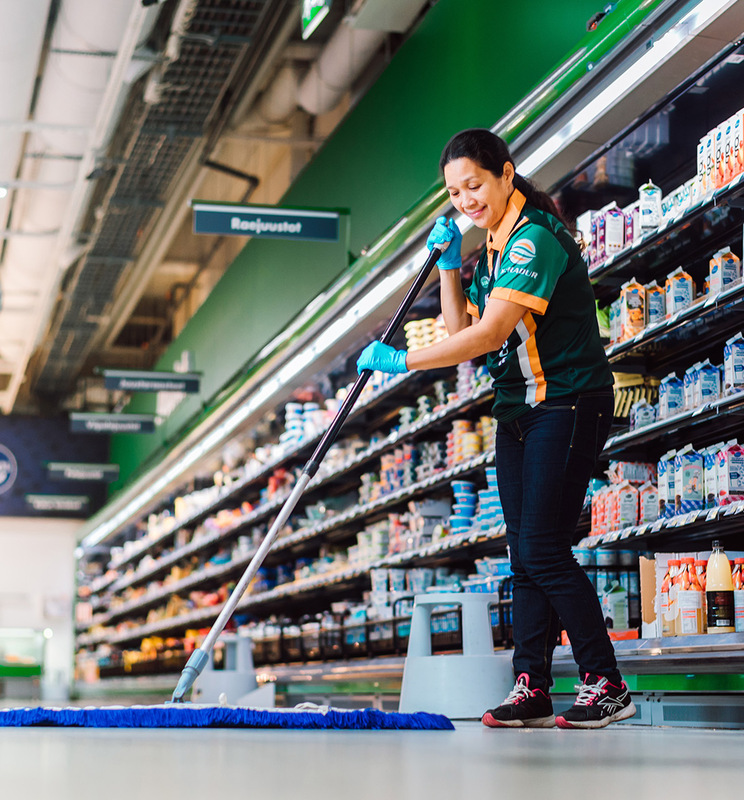 Our wide reach and long experience in cleaning grocery stores guarantee that the cleaning schedule suits the requirements and opening hours of your store. We pay attention to the specific needs of different shopping seasons and possible round-the-clock service hours. 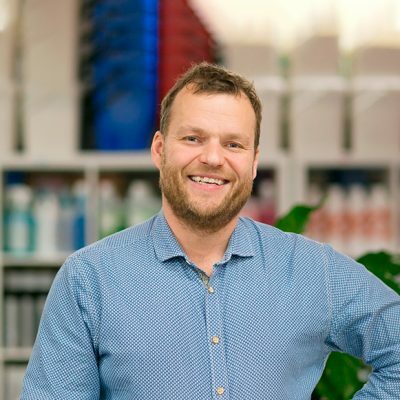 The staff facilities, storages and other supporting facilities should follow the same standard of hygiene to increase sales and keep the employees happy. The Keradur team is always communicative, cheerful and sociable. We’ve received good feedback for our clean facilities from customers and other groups.